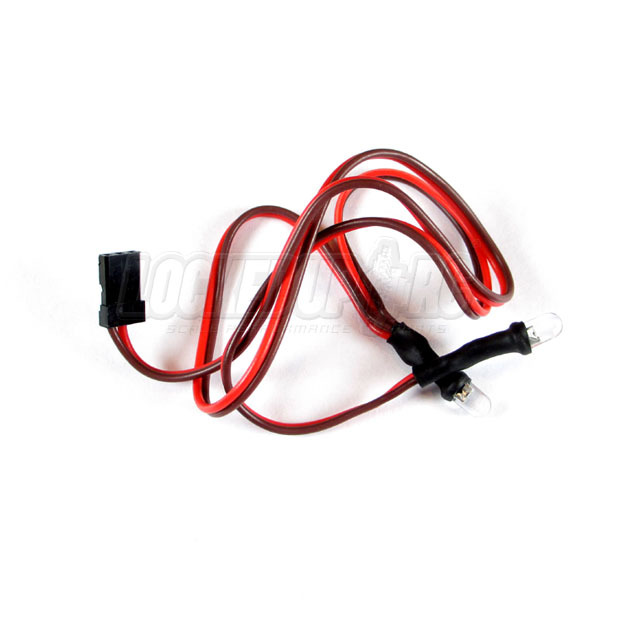 These 5mm Red LEDs plug into your HeyOK lighting controller to be used as brake lights. The lead is 20" long overall with lights at 12" and 20". The plug is a standard servo connector style.